Lately I have been really into the vintage pink, rose gold, dusty wine red and cranberry kind of eyeshadow shades. While I am a cool toned colour type of girl, I find that those shades really suit me. Hence, my hunt for the specific eyeshadow has started. Having looked at different brands, I was still quite hesitant to commit to one. Until I saw the Sleek's Facebook post come by with their new release.... i-Divine Goodnight Sweetheart in limited edition. Because of the brand, price and availability I already knew I need to get this. This was still unavailable in my local Boots, so I grabbed one online instead. This palette is inspired by romantic evenings, cosy warm candlelight dinners and seductive fire nights including: smouldering dusky rose, deep plump and iridescent shimmers as core colours. Sleek is one of the famous drugstore brand in the UK that is known for their price/value products. Their products are affordable (€12.99) and the quality is amazing for that value. This palette contains 12 x 0.8grams of eyeshadows, a big mirror (as always) and a 2 sided sponge applicator. I will show you the product, swatches and my first impression of the Goodnight Sweetheart eye shadow palette of Sleek. FIRST IMPRESSION. First of all, the quality is good. Very smooth, buttery and pigmented, like I expected from Sleek. 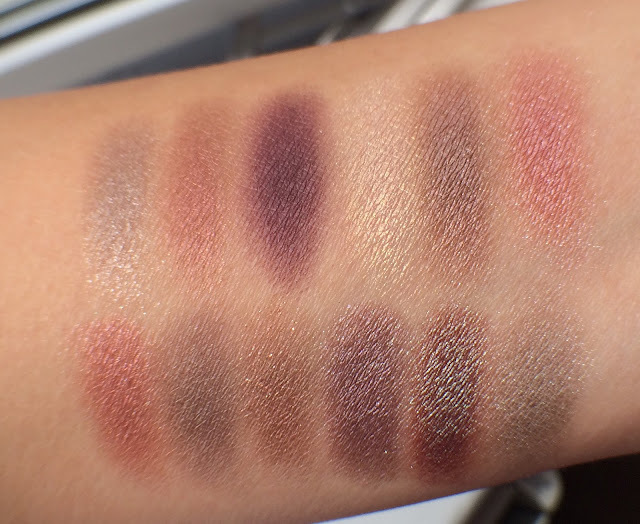 Romance was the only one that had minimal crumbs during the swatches. Secondly, there are several positive points I would like to express. I love the pinky/rose/coppery shades, which are also the shades that I was looking for. 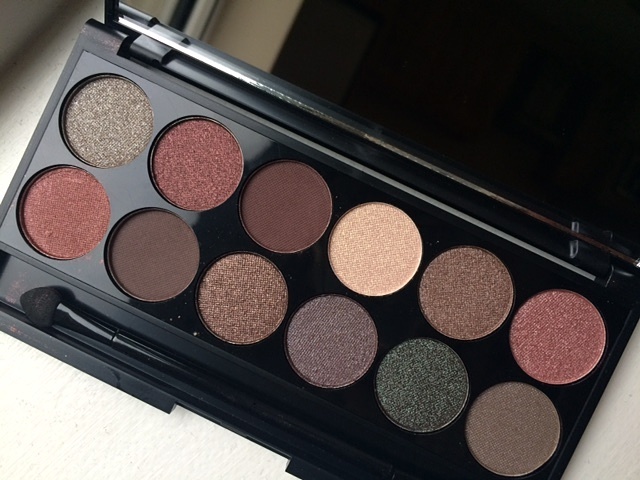 Surprisingly there are two duo chrome shades in this palette and especially Lingerie was like "wow" when I swatched. Just a picture doesn't show the true colour unfortunately. In the light it is so beautiful. While I haven't used it yet on my eyes, I do have a few things I wish were different. Firstly, it packaging says these are warm shades, but in my opinion it is a mix of cool toned and warm colours, such as the taupe and dusky colours which I like. Also, the darker taupe/brown colours did not really amaze me; I find that many of the colours are fairly similar. They could have put a cranberry shade, a black shade, a highlighter and another matte for example for the versatility (but that would be my personal perfect palette). Also, I find it a bit unfortunate that there are only 2 matte shades; I would have liked one more for the diversity of transition colours. It is not my 100% perfect eyeshadow palette because of the few similar colours, but then again it is my personal opinion and preference. Besides my personal improvement points, overall I am super impressed with the quality, colours and especially the value. For only €12.99, you can't pass on this beautiful limited edition! The dusky rose, gold, coppery colours and the duo chrome Lingerie (!!) are just like.. ahhhh! Can't wait to start using it! wow, thank you for your review about Sleek Eyeshadow Palette, now I am more confident to purchase this Goodnight sweetheart! I like your comment over 1 colour and you also put your fave color. once again thank you for reviewing this product..